Because of the house renovations and the garden building, I was seriously late sowing seeds this year. 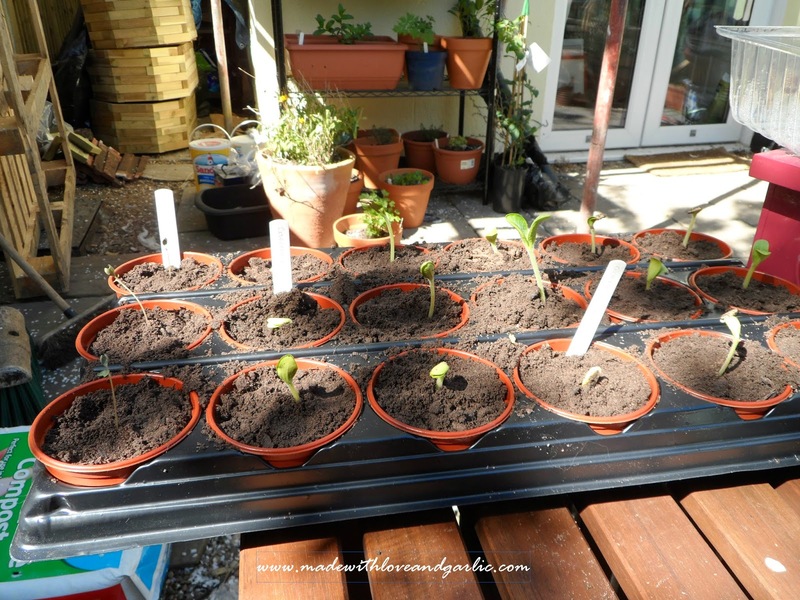 As a result, instead of a steady one or two types of seed being sown at a time, I went a bit mad and bunged the lot, peppers, tomatoes, beans, peas, squashes, courgettes, tomatillos, you name it, I sowed it, into propagators all at once. 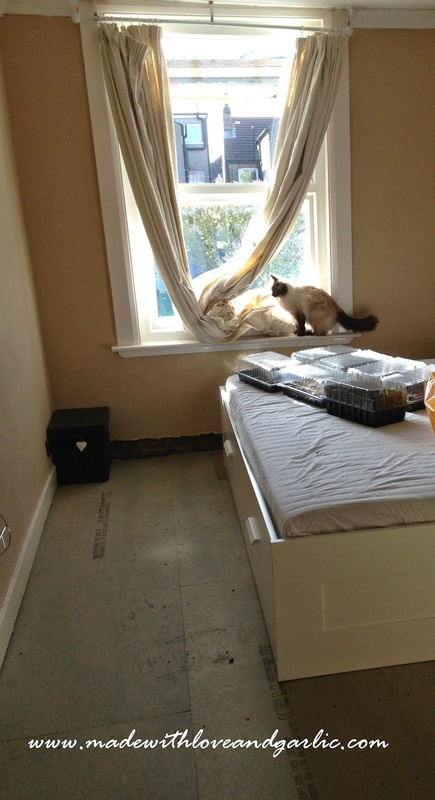 And then I spent two weeks scurrying about the house bent double under the weight of seed propagators that lived (at different times) in our bathroom, the nursery, our bedroom, the study and the dining room. I also get the impression that I may have gone a bit overboard. In my novice’s enthusiasm, I may have sowed too many seeds. 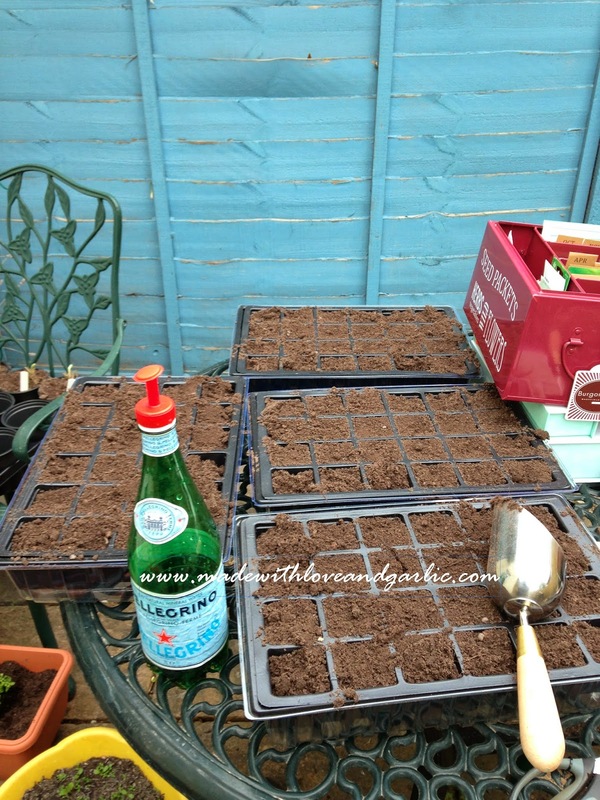 I had to go out and buy more seed propagators twice. Next year I’m going to buy one of those newspaper moulds instead. But at least it was a learning experience. And, to my delight, the majority of the seeds germinated! 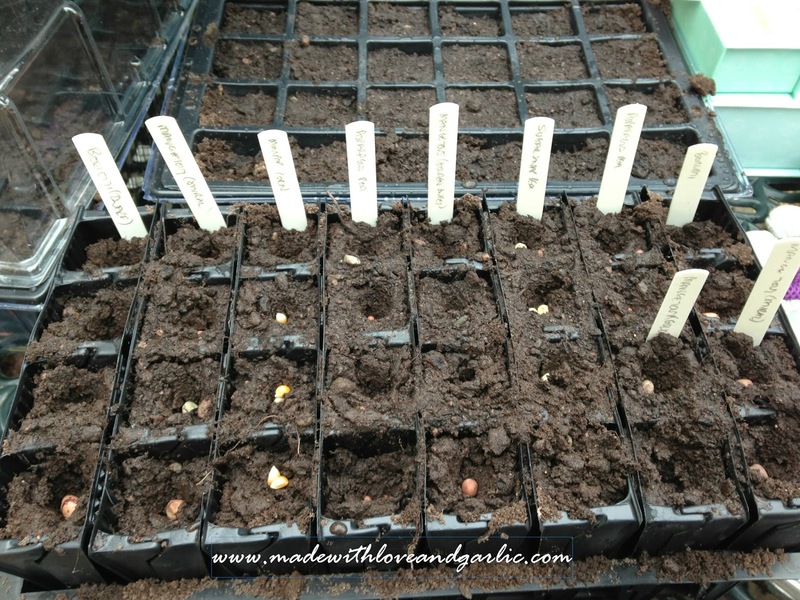 Is there anything more wonderful than peeping at seed trays and seeing your seeds growing? The only thing that failed to come up was the Cape Gooseberry which is a shame because I love them so much, but I’ll try again next year in the greenhouse. 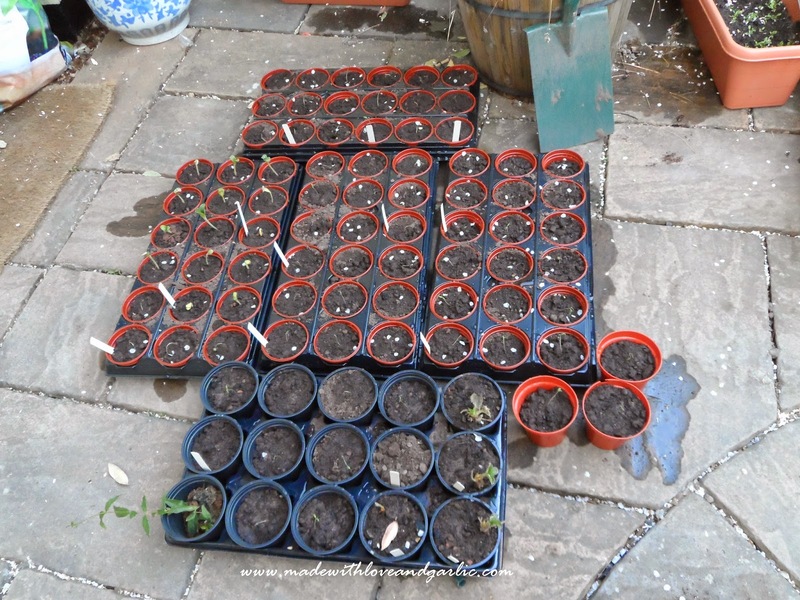 Far, far too many seedlings!